Part of playing with poetry is finding poetry everywhere in every way. I was reading The Writer’s Almanac on Eudora Welty’s birthday, April 13th. In the article, there was a list of the seasonal flowers that bloom in Eudora’s garden that was diligently tended by her mother, Chestina. I collected the flower names and crafted a poem around them. and zinnias and blue salvia. like creamy froth on café au lait. The sounds of birds rejoice all year long. Author’s note: I grew up in Jackson, MS during Eudora Welty’s lifetime. I once heard her read and was given the opportunity to interview her for a high school project. She was an elegant, kind woman. “Today is Pi Day,” My husband greeted me Thursday morning. 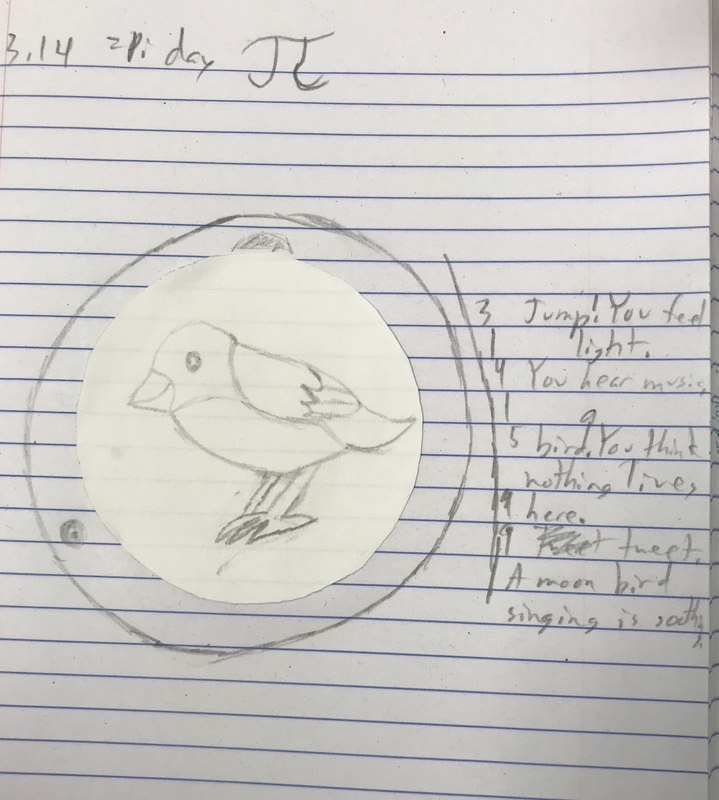 We discussed the meaning of Pi, the irrational number 3.14 and so on, and the relationship between diameter and circumference of a circle. Then we got to the fun part. Each student chose a piece of colored paper, and we brainstormed ways to make a perfect circle. Then the hunt for possible patterns- the pencil cup, my coffee cup, the lid of a game. Kaia suggested using a paper clip. If I had once known how to draw a circle with a paper clip, I had forgotten. Place a pencil inside one end of a large paper clip. Hold the pencil point in place on this sheet of paper. Place another pencil inside the other end of the paper clip. Ask your helper to hold your paper still while you draw a circle by moving the second pencil. 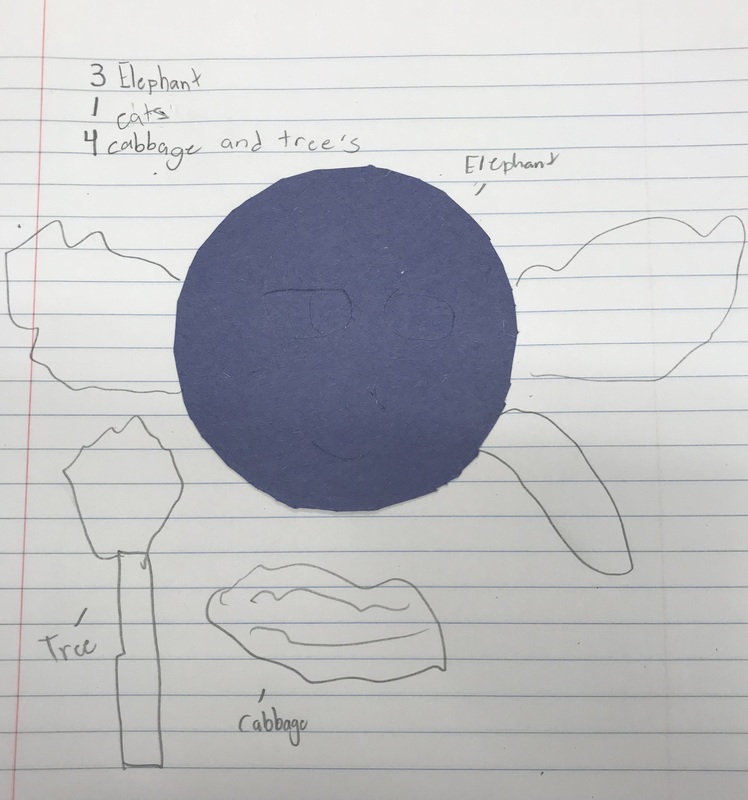 I asked the students to use their imagination to create something with the circle and use it as the topic for their Pi-Ku. A Pi-ku takes on the syllable count of Pi, 3.14159…. While we didn’t produce great poetry, we did have a good time playing with circles, wacky drawings, and syllable counts. 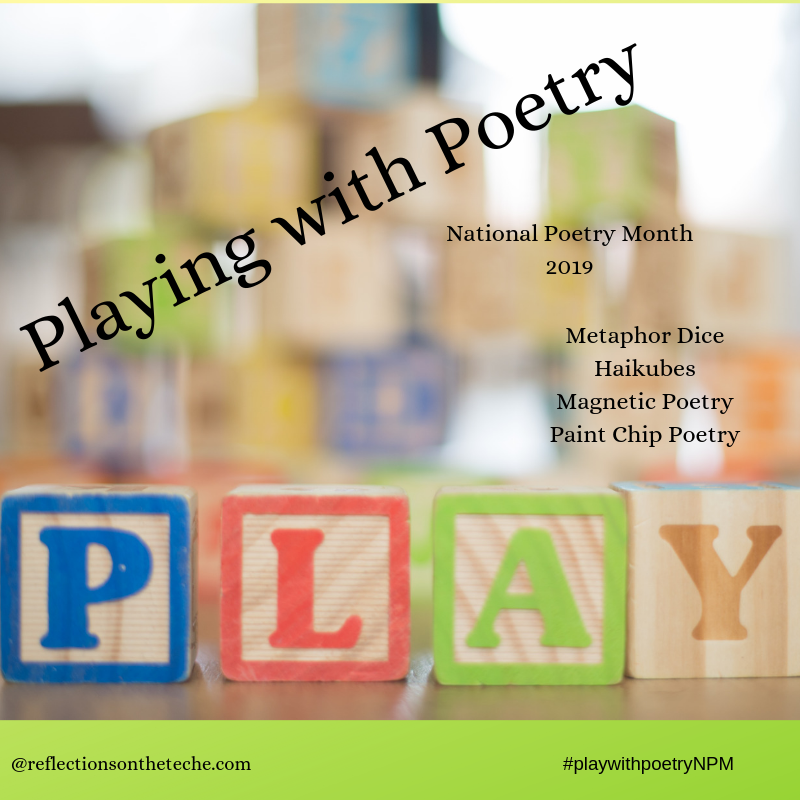 I combined this activity with the daily poetry prompt in Laura Shovan’s poetry project. The prompt for Thursday was honey. Into joy-light for my morning cup. Tweet, a moon bird singing is soothing. 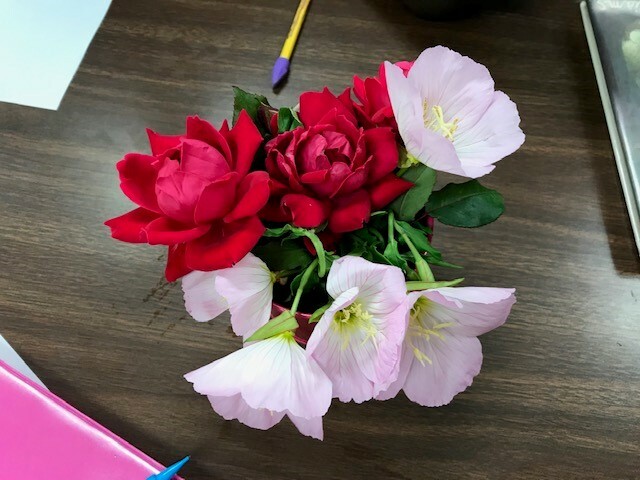 Poetry Friday round-up is with Linda at Teacher Dance. Today is the first day of March, so you know what that means: The annual March Slice of Life Challenge at the Two Writing Teachers! I will be writing a blog post every day and linking it up to Two Writing Teachers. What’s the point? 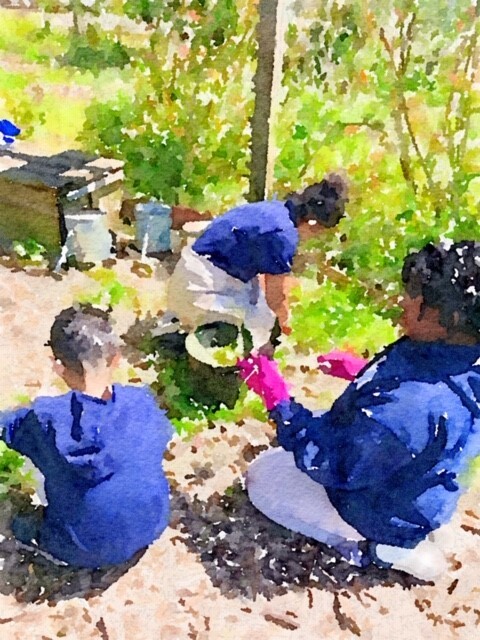 Writing every day is an important discipline for a writer and for a teacher of writing. 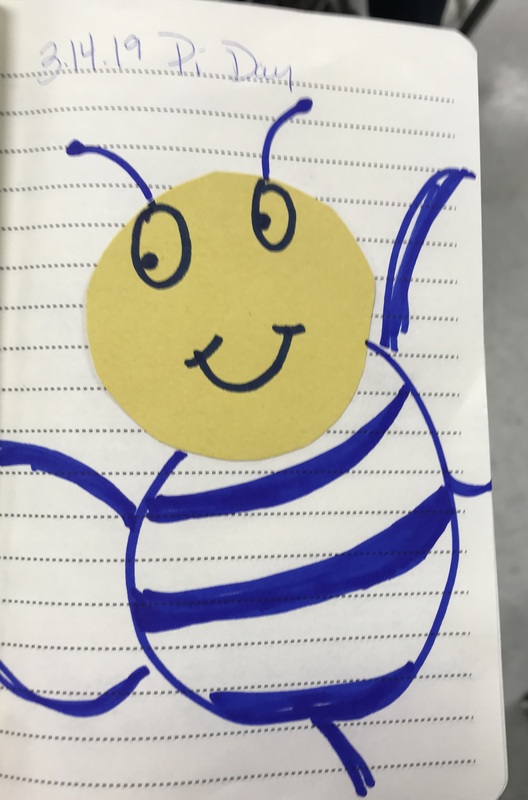 Connecting to other teacher-writers inspires and informs my teaching and writing, and I usually make new friends along the way. I first met Jen Vincent through Kate Messner’s Teachers Write, a virtual summer camp for teachers who want to write. If I remember correctly, we did a Google Hangout with other writers and read a section of our work. I further connected with Jen through blogging and Twitter and met up with her at NCTE in 2014. These connections are invaluable to me as a teacher and a writer. One day I saw that Jen was teaching a workshop. Silly me, I thought it was virtual, so I replied to her message on Facebook, “I want to come.” Since Chicago and South Louisiana are pretty far apart, that was not feasible, but Jen thought of a way. She created a virtual workshop. We met one Saturday morning by Zoom meeting. She led me through an exercise from Teachers Write by Tracey Baptiste. We made a graphic organizer in our notebooks and labeled three places we had been recently. We then divided each column into two columns. On one side we wrote descriptions about the places and the other side we wrote emotions we felt about the places. I chose school, dance lessons, and a restaurant where we go dancing. I decided to connect the three places with the thread of dancing. lunch bag and Yeti cup. Miss Marie says, Show me that grandbaby! I dance down the hall to my classroom. reflect my partner and me. Miss Lou says, Right. Left. Back step. weightless in a jitterbug twirl. of greetings, giggles, and two-steps. Buck says, This waltz is for you. to the beat of fiddle, mandolin, and drum. This workshop was a test run for Jen for her new Patreon page, Story Exploratory. If you’d like to find more ways to write, I highly recommend Jen as an instructor. You can view this workshop and others by visiting Jen’s patreon page, Story Exploratory. 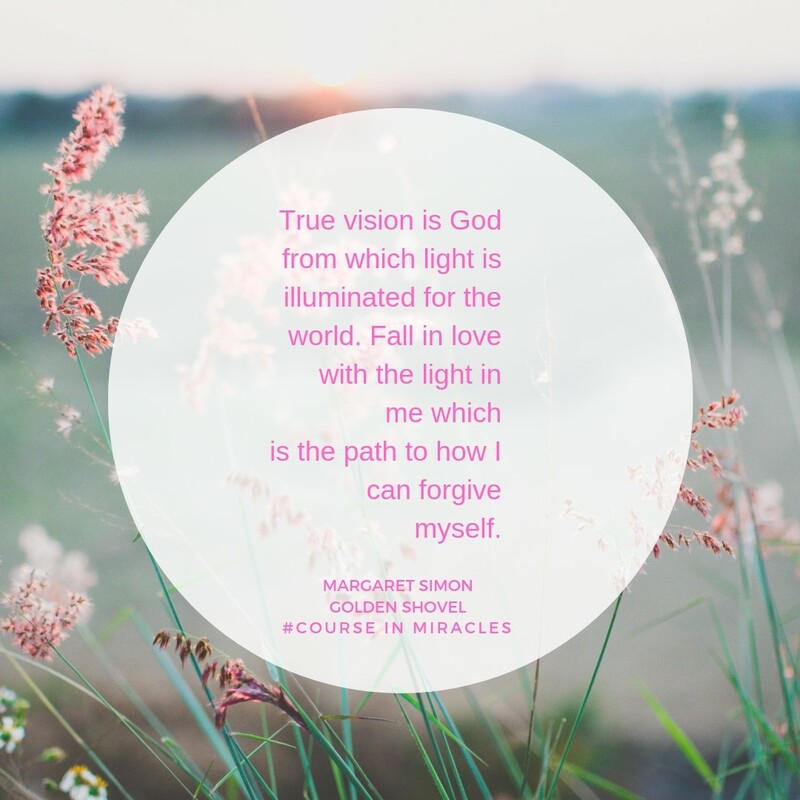 I am participating in a book study called “A Course in Miracles.” It is quite an amazing journey of meditations that lead to self-awareness and ultimately to inner peace. Each day there is a new mantra. One of the mantras for this week was “God is the love in which I forgive myself.” I was drawn to creating a golden shovel poem and used Canva.com to design the graphic. even when it’s hard to. The golden shovel form is a way to honor the words of another while making them your own. Next time you read an inspiring quote, try to write a poem around it. 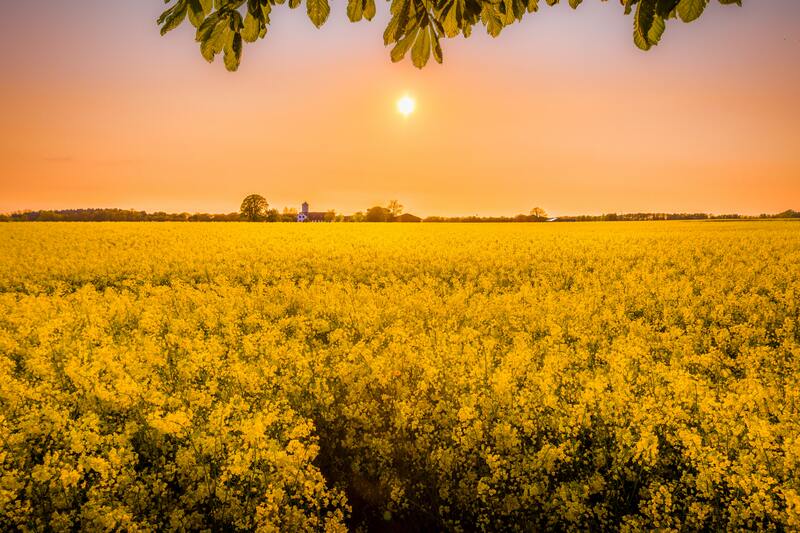 Poetry Friday round-up is with Jone this week at Check it Out! by a miracle is everything. Today, after a stormy day yesterday, the sky is clear and the sun is shining, a daily miracle. 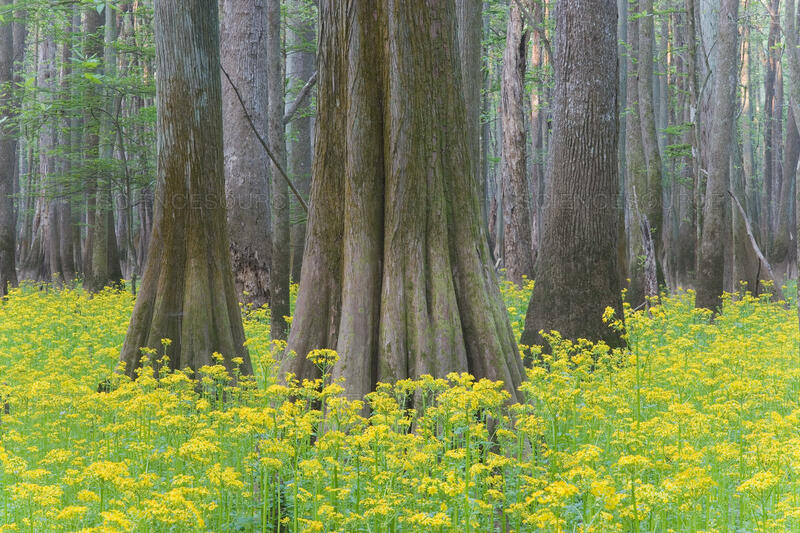 There are fields of butterweed blooming. daily miracle in the Sun. 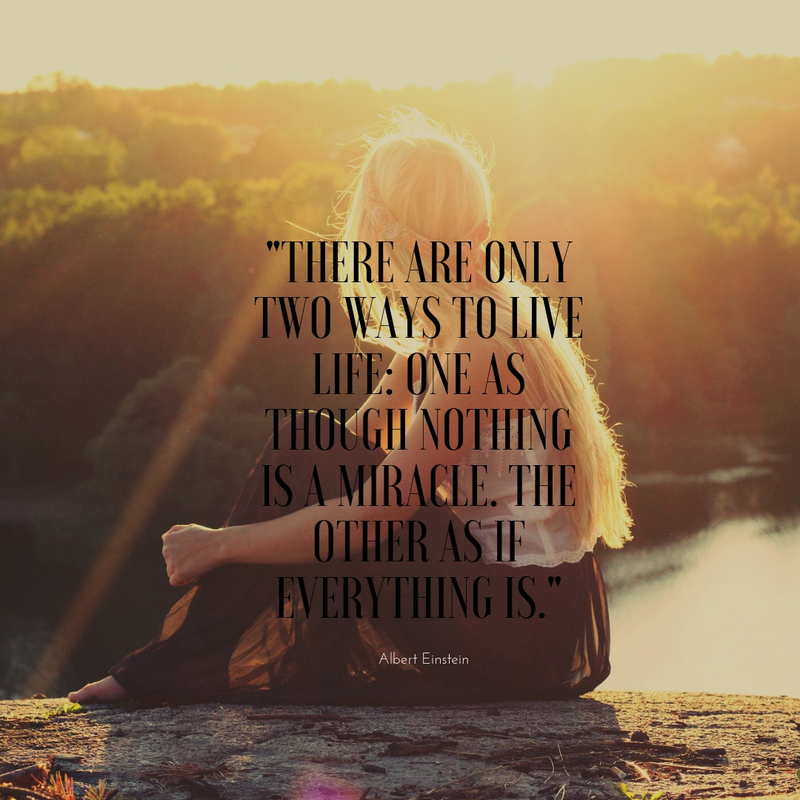 What miracles do you see every day? Can you write a simple skinny poem?